The European Association of Parental Alienation Practitioners, is aligned with the worldwide group of experts in the Parental Alienation Study Group. As such, EAPAP follows the most up to date scientific research evidence in the world, to curate and codify standards of practice for those who work with alienated children and their families to follow. When the membership of EAPAP opens, all EU practitioners in the field of divorce and separation are invited to join to demonstrate their understanding of the internationally recognised standards and their adherence to them. EAPAP will be open for new members from the Autumn of 2018 and will launch its new training scheme under which all practitioners can become accredited. More details will follow the EAPAP Conference, where international standards of practice will be discussed and endorsed. The need for international standards of practice is urgent. Whilst PASG curates the scientific evidence and achieves a broad consensus of opinion about what parental alienation is and how it is recognised, direct practice with families is not currently codified or recognised anywhere in the world. Thus, EAPAP aims to bring together a set of standards which are acknowledged as the recognised way to approach a case of parental alienation in the family court system across Europe. Whilst each EU country has a legislative framework which is uniquely its own, the principles of how a case of parental alienation is recognised and treated are broadly the same. Thus the mental health and legal interlock is something which can be defined and detailed carefully across borders. With the weight of available scientific evidence, it is not difficult to define how a case of parental alienation can be recognised. Lack of ambivalence which gives away the fact that the child has entered into the psychological defence of splitting feelings into wholly good and wholly bad, is a core feature of all children who are alienated from a parent. When this is seen, the practitioner must begin a forensic investigation to determine how the psychologically split state of mind occurred and then from there, devise the treatment route which will relieve the pressure upon the child which is causing the defence to come into play. Relieving the pressure upon the child by correcting the power dynamic in the family system, (using the powers available to the court to do so) is the first step in treatment and all practitioners should recognise that this is of paramount importance in the process of intervention. Restoring the relationship between parent and child is the most urgent consideration and all efforts should be front loaded to achieve this FIRST. In our FSC assessments, we always ensure that the child is seen with the rejected parent as part of our initial observations. Our assessment is not complete without that happening. This is the earliest opportunity for the restoration of the child/parent relationship and it is this which relieves the pressure which causes the psychological defence. When the family courts understand what the core problem in parental alienation is, they are more easily able to do what is necessary to support the mental health intervention. When the mental health professionals understand that the intervention requires the court to hold the power dynamic in place long enough to shift the power over the child away from the aligned parent, then parental alienation is swiftly treated. EAPAP will launch a training scheme for all professionals working in the family courts with children who reject a parent, so that the knowledge base is widened and key people are educated. The work of EAPAP is directly descended from the Parental Alienation Study Group and is designed to ensure that parents and practitioners who work with them are properly helped and protected. EAPAP is designed to shift the focus away from parental rights and generic therapy onto the specialist mental health interventions which are shown to work in these cases. Children do not reject a parent without justification, unless there is pressure on them to do so from somewhere. This pressure, which can arise from the deliberate actions of one parent against the other, the lack of knowledge amongst practitioners about parental alienation, leading to alignment with the child’s maladaptation to divorce and separation and the concentric circles of conflict which can arise around families in times of crisis, puts the child in a damaging place in the family hierarchy. Failure to act in ways which are properly aligned with internationally recognised standards of practice, simply prolongs the pain of the child and the suffering of the whole family. EAPAP is created to ensure that this horrible scenario is avoided in the future. EAPAP Parent Panel tickets are close to selling out, please email office@eapap.eu to book yours. If you have been sent an invoice for your Parent Panel ticket, please pay it now to ensure that your place is confirmed. These tickets are on a first come, first served basis only. The EAPAP Conference programme will be launched shortly. The Conference is interactive and starts with a survey which all parents are encouraged to complete. I will post the survey here next week. Parents and Practitioners will be offered the opportunity to vote on the standards of practice which are discussed throughout the conference. Outcomes of these debates and votes will be curated for endorsement by delegates during the two day event. Karen, with the best will in the world the social and the courts say that if a child of 14 no longer wishes to see the alienated mother or father, they don’t have too!! I fought on for another 4 years and nothing changed!! You have a very long and difficult job ahead of you! Good luck! Frankie X, here in Sweden it is when the child is 12, regardless of alienation or not. Not good at all, when the child is alienated. I lost my alienated son in january due to this courtrule. He was 13 and the court could’nt do anything. When he was twelwe his mother encouraged him to decide for himself. He is too young to do that. But his mother does’nt care. She belives the children can manage this horrible separation from me by themselves. To put the pressure of that decision on a child is beyond cruel. They will live with the guilt and shame, probably for the rest of their lives. I know my daughters most likely will… horrible. Thank you for this good post Karen. In view of Frankie’s, Johan’s, and Peter’s comments above do you have any ideas how to prevent one parent placing this supposed “choice” duress and impossible dilemma on children/teenagers? We hear a great deal of mostly well-intended support for the (true) voice of the child but in practice a choice made by a child showing no ambivalence whatsoever is either just accepted by the family court, or worse still, interpreted as virtual evidence of abuse from the alienated parent. In your PASG group meetings, or elsewhere, have you ever heard anybody point out that no society just grants adults AUTHORITY without also demanding commensurate RESPONSIBILITY? It follows that if at the age of 14 (12 in Sweden where you will be soon enough!) a measure of adult authority is granted, likewise an equivalent responsibility is expected. Actually, isn’t this gradual progression of both sides (authority WITH a measure of responsibility) an innate feature of good parenting? Yet, I have never heard the suggestion that the right to choose your custodial or resident parent be dependent on fulfilling certain responsibilities, most particularly acknowledging a filial duty to spend a reasonable amount of time with the other parent (obviously waived or diluted in genuine cases of abuse). If I turn this in reverse and ask what do we think of a parent who does not spend time with their kids? The answer is “Not much”, and indeed, even when the reason for not doing so is work related, even to the point that such work enables the other parent to spend more time with the kids, the absence of that parent is not viewed as ‘parenting’, ‘just’ work. I’d value your views, thank you. The issue for teenagers is that they are given the power by one parent and this is then upheld by the family court on the basis that everyone believes that a teenager cannot ‘be forced’ to see a parent if they do not wish to. In the UK and in Europe, we are working on EAPAP which will provide a membership organisation for practitioners who do this work and who work to ‘force’ children up to the age of 17/18 to see a parent – and in some cases – young people up to the age of 21 where it is possible to do so. I put the word force in inverted commas because the word ‘force’ is emotive and is used by people who want us to imagine children being dragged to a parent’s home or elsewhere. In reality, the teenage brain is not equipped to make such life changing choices and the teenager is not and should be made to be responsible for a choice they are not able to properly make. 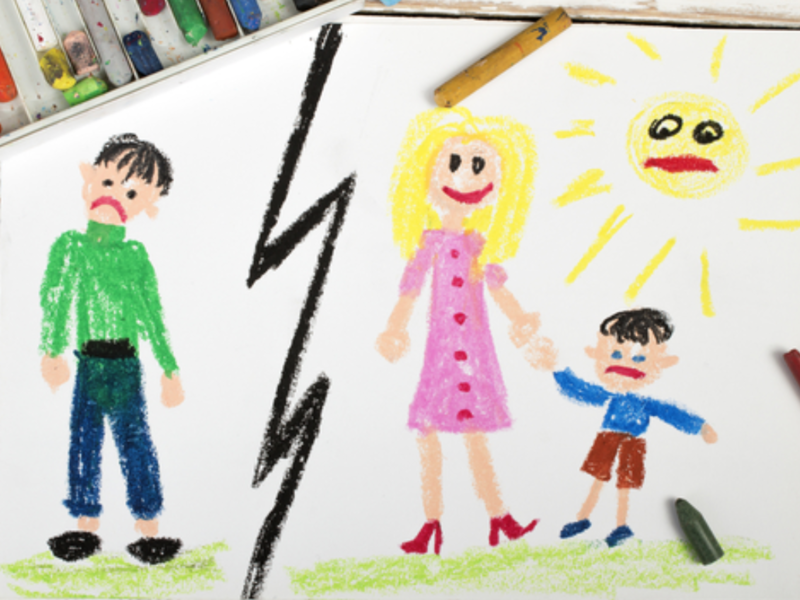 EAPAP will also work to educate Judges across Europe through a programme of training and education which utilises neuropsychology as well as education about developmental stages of young people – alongside this we have developed a module of education about the divorce process and the history of how it has undermined the family hierarchy – which includes the way in which parental alienation is made more possible after divorce and separation because of the way that socio-economic systems encourage it. We are specialists in this kind of education – we worked with the UK government for several years and so EAPAP is designed to create significant and sustained organisational change throughout Europe. PASG is significantly involved in all of this work and there are several people working on the issues around ensuring that the child’s true voice – not the alienated voice, is heard in court – alongside the reality that teenagers are not capable of making serious life changing decisions such as losing a parent. PASG is alive with research and EAPAP draws upon this to provide a framework of practice for all practitioners in this field. We are standardising the field, promoting the very best interventions possible and educating the judiciary too. Our conference launches the next phase of our work – we have 300 people coming to hear and join the discussions and we will be focused upon the interventions which make the difference with children and young people across all ages. We are going to help children to avoid the psychologically split state of mind which underpins alienation – we are doing so because we know the harm it causes. Thank you Karen, for your answers! Keep up the good work you do! Thanks Karen, I agree with you that the choice is not properly theirs (teenagers’/children’s) to make (even if they were not compromised by their situation), and moreover that it is concerning and revealing that any parent says that it is. Yet the family court is complicit in siding with one parent and saying just that. No situation in wider society grants such authority to non adults, it really is a freak aberration. My point was that if the family court won’t budge on this point, they should at least not model reckless parenting. It is well understood in all other fields that granting carte blanche authority without the checks and balances of commensurate responsibility – in this case an acknowledged duty to spend enough time together to protect and maintain both filial bonds – leads to a dangerous absence of accountability, dangerous that is, even for adults. You are right to “force” children to be responsible in return for a graduated expansion of authority up to the point where they age into adulthood. Spending time with the other parent is no more “forced” than spending money is necessary to eat food. It is dangerous not to. Thanks for your views. Am I allowed a final question? To what extent do you think this aberration in the family courts is a result of the “domestic violence industry” or could it have some legitimacy in the complications of enforcement? Erin Pizzey has suffered a great deal from bullying and I greatly admire her integrity. You covered this matter very succinctly Karen, thank you.